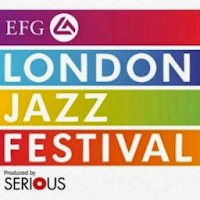 One of the most sought-after tickets at this year’s LJF. This young yet firmly established Anglo-Scandinavian trio play simple, infectious rhythms and melodies with technical wizardry. Purveyors of highly imaginative and serious contemporary jazz, Phronesis remain accessible to an uninitiated audience. The Cockpit Theatre hosts BBC Radio 3’s Jazz In The Round series and promises to be a suitably intimate venue for three sell-out shows. Look out for returns. Loud, boisterous and mad Manchester brass band, Riot Jazz, bring their unique take on New Orleans style jazz to XOYO. They will be supported by The Comet Is Coming, an exciting if unexpected new collaboration between one of London’s finest young saxophonists, Shabaka Hutchings, and experimental duo, Soccer 96. Virtuoso producer/rapper/singer, Spoek, emerged from South Africa’s underground dance music scene and is now at the forefront of ‘township techno’ - a crude term that describes a genre-bending fusion of local and global musical forms. It may not be jazz but Spoek is set to deliver one of the more cutting-edge and performances of the week. XOYO will play host to the dark, meditative gospel-jazz of American percussionist and composer, Jaimeo Brown. His latest work echoes the great Charles Mingus, and weaves Eastern motifs into a soulful African American soundscape. Manchester-based support act, GoGo Penguin, have also created a buzz this year and should dovetail nicely with Jaimeo Brown. First shown at the Brighton Film Festival earlier in the year, this well-received independent documentary about the legendary British saxophonist, Bobby Wellins, will be screened at the 606 club in Fulham, and followed by a performance from the man himself. The film charts the highs and lows of a life that has spanned almost the entire history of modern jazz in Britain. ''Dreams are Free' - Extract - 'Childhood' from Dreams are Free on Vimeo. The largely forgotten story of the ‘Piano Prince of New Orleans’ has been revived through through this exciting new documentary film, screened for the first time in the UK at the Barbican. Interviews with Harry Connick Jr, Irma Thomas and Allen Toussaint testify to the charismatic brilliance of this tragic and overlooked figure in rhythm and blues. Find more info and purchase tickets at londonjazzfestival.org.uk.